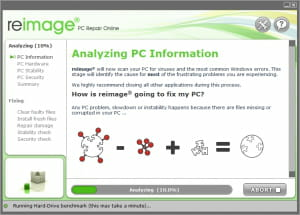 Reimage PC Repair is a software that can help you to take care of your computer system. To do that, it performs a complete scan of your computer to detect and fix problems that may cause its instability, slowdown, crash, etc. On one hand, it can also work as a real anti-virus that is able to delete any malware from your computer either virus, Trojan, spyware, adware, rootkits, etc. On the other hand, it can also be used as a monitoring tool for your PC hard disk, the processor, the temperature, memory, etc. A clear report can be generated at the end of the scan for further information. Latest update on May 13, 2016 at 05:20 AM.